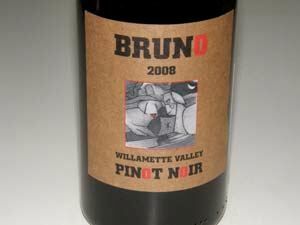 Russell Raney’s career in wine began as a winemaker in Germany and subsequently he worked in retail and as a wine buyer for a wholesale company in the United States. 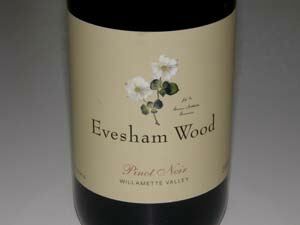 He was attracted to Pinot Noir but found few examples in the 1980s worth getting excited about. 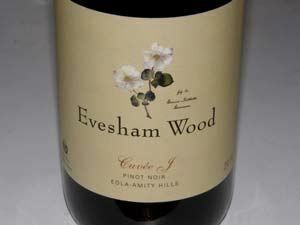 He decided to craft his own Pinot Noir and began a search for an appropriate setting in North America. 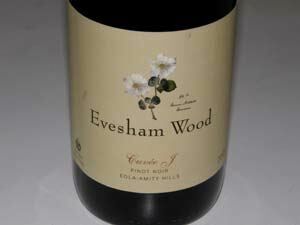 He settled on Oregon’s Eola Hills west of Salem and founded his label in 1986. He named his winery Evesham Wood after the Vale of Evesham in the Cotswold Hills of England because the site bore a resemblance to this part of the English countryside. 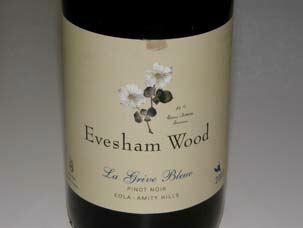 Evesham Wood is pronounced "Eve" like Adam and Eve. 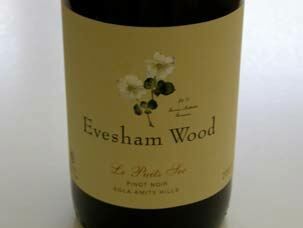 Farming of the 13-acre estate vineyard, named Le Puits Sec (“The Dry Well”), has been organic from the start and the vineyard was certified organic by Oregon Tilth in 2000 (the winery is also certified organic). The vineyard is dry-farmed and Raney is a firm believer in avoiding irrigation of vineyards after the vines are established if the climate is conducive. Raney says, “Once the vines are into production our feeling is, in addition to wastefulness, the wines that are created from irrigated sites - they may be quite nice wines - are often less distinctive and tend to be very similar from year to year. This is because they’re trying to give the vines, by way of irrigation, the same amounts of water each year.” Raney is a member of the Deep Roots coalition, an advocacy group for wines produced exclusively from non-irrigated vines. 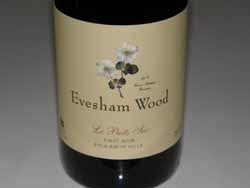 In July, 2010, Russ and Mary Raney sold Evesham Wood and the estate vineyard, Le Puits Sec, to Erin and Jordan Nuccio of Haden Fig Wines. After 24 years, the Raneys wanted to retire and spend more time at their home in France. 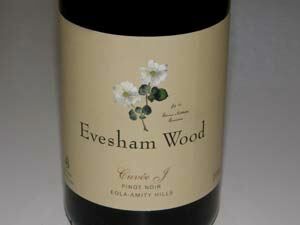 Erin has worked at Evesham Wood since 2007. Raney will continue to consult for a few years and Erin claims that "nothing will change since our winemaking and vineyard management philosophies are virtually identical." 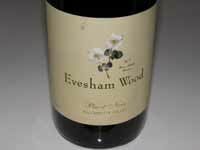 Erin's first vintage was 2010. 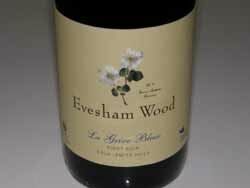 The keys to success at Evesham Wood are organic viticulture with fruit sourced from like-minded growers, fermentations with a pied de cuve (a house starter induced fermentation), aging in primarily well-used French oak barrels, racking by hand, and no filtration. 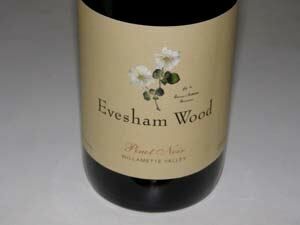 Evesham Wood Vineyards and Winery is located at 3795 Wallace Rd NW in Salem. Visitors are welcome for tasting Friday - Sunday in the tasting cabin or private tastings by appointment in the caves. 503-371-8478. Open houses are held on Memorial Day weekend and the weekend before Thanksgiving each year. 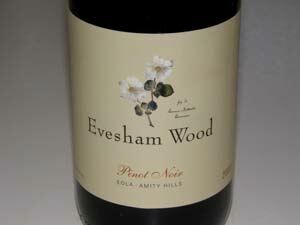 The wines are in wide retail distribution. Call the winery for direct sales.